Death's Leprosy won't grab you right off the bat. Its production is dry, the music too samey, and the atmosphere kinda meh. Pitted against the 1987 classic Scream Bloody Gore, the initial impression is certainly disappointment because it appears Chuck lost all creativity (impossible for a metal god!). That's far from the truth, however, and evident when you consider how influential the album was as death metal cemented its place in music. The drumming might be boring and the compositions rather monotone, but it's still worth your time, especially if you're digging deeper into early death metal. Listen to it before Scream Bloody Gore. 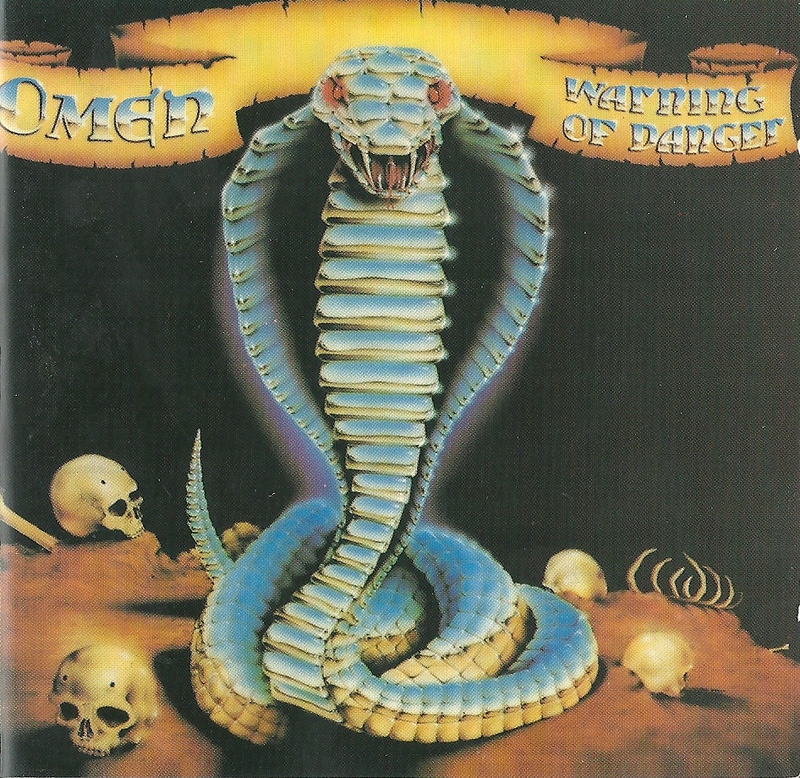 After thinking about how much I love the eighties U.S. power metal scene, I slapped Omen's Warning of Danger on, and it's still one of my favorite records from the time, bar none. 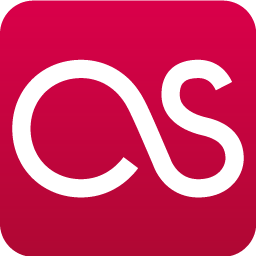 I say "still" because I gave it a listen many years ago and was impressed by it, of course, but lost track of it as I added album after album to my never-ending backlog of music. While the production is without a doubt dated, the music is great all the same--melodic intros, aggressive riffs, and over-the-top vocals in your face and ready to slay an unsuspecting victim. Personally, when I envision metal, this is what comes to mind, not any variety of extreme metal bands. And in that sense, Warning of Danger is a metal anthem in its entirety. Much like Leprosy, Dehumanizer was a disappointment for the my first few listens. Actually, I'm lying. It took me years to understand just how excellent this record is. Today, I'd rank it ahead of Heaven and Hell and Mob Rules despite their legendary status within the metal community, and while I don't enjoy Ozzy-era Sabbath as I should, the album is a return to that sound (even though Dio is at the helm.). Most of the record is strongly rooted in doom metal, with a few heavy metal tracks hanging out and ahs the pure evil vibe oozing from the music the minute you look at the album art. 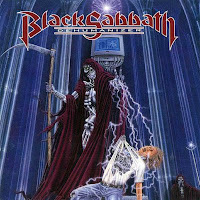 "After All (The Dead)" calls Dehumanizer home, my favorite Black Sabbath track, so I might be slightly biased, but that doesn't change the fact that you need to add this to your collection. Pronto. 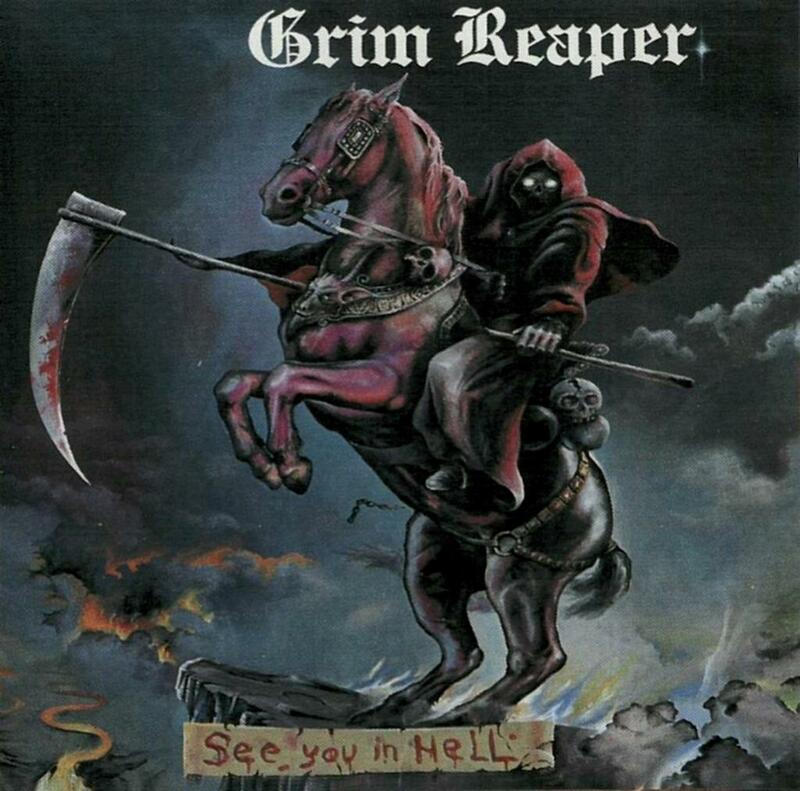 Grim Reaper are always forgotten among the sea of heavy metal bands and never quite got their ticket to fame. The band released three albums with little success before going on a lengthy hiatus, but left their essentially flawless discography for us to enjoy and cherish. I'd argue See You in Hell is on the same tier as Iron Maiden's golden age, as well as Judas Priest's revered records like Painkiller and their seventies material. 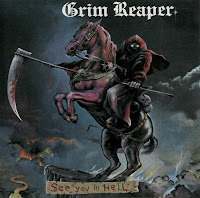 See You in Hell might not be as well known as those albums or their respective artists, but it still retains status as a New Wave of British Heavy Metal classic. 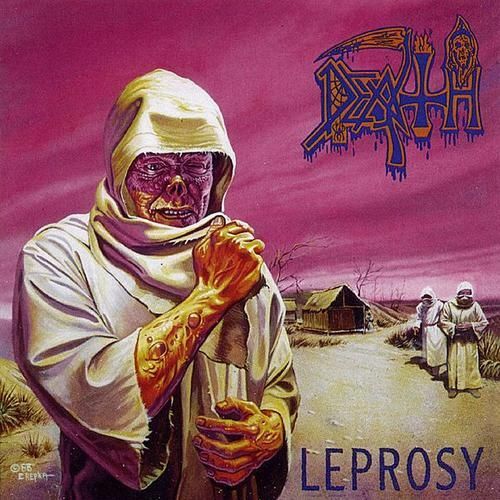 Love Death's Leprosy. It's hard for me to dissect how much of that affinity is due to the sleeve but, especially played against the arc of the entire discography, it's a fascinating step in Chuck's evolution. Also agree 110% re: Dehumanizer. Not sure if you caught the Heaven & Hell tour but, for me, it was "I" that ended up the highlight of the show.